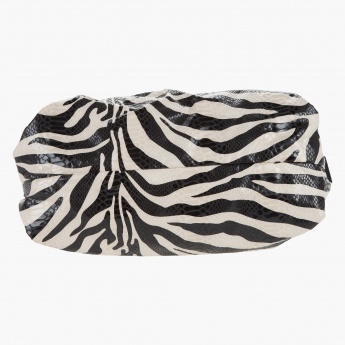 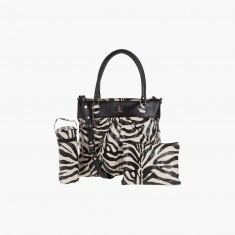 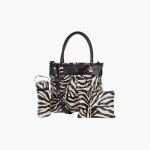 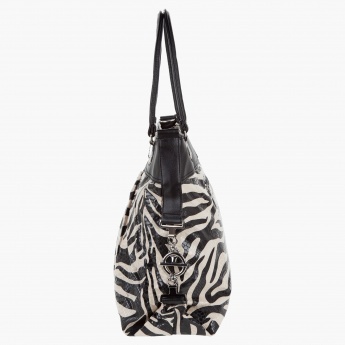 Flaunting an appealing animal print, this tote comes with a bottle holder and additional pouch. 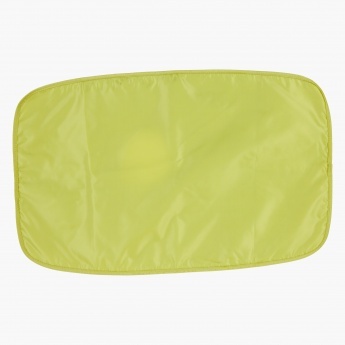 Durable and light, it is sure to become your favourite. 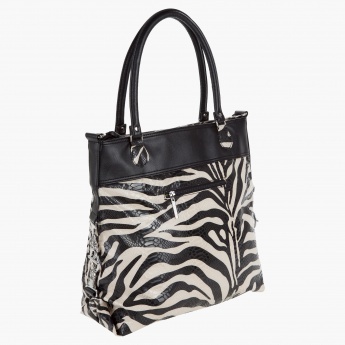 The texture and dual handles add to its appeal.